J. F. C. PESSOA, L. PEREIRA, A. J. SILVA and E. M. FONTES. “Mice seminiferous tubules followed by Nitrofurazone treatment. Horseradish peroxidase transport through Sertoli cells junctions”. 5th World Conference on Obstectrics & Gynaecology “Fertility Problems”,Cairo, 18 a 20 de Fevereiro, 1989. Adv. Contr. Del. Syst., 5, 34,1989. L. PEREIRA, J. F. C. PESSOA, A. J. SILVA and E. M. FONTES. “Ultrastructural study of spermiogenesis on Nitrofurazone-treated mice”. 9th European Congress on Electron Microscopy EUREM 88, York (Inglaterra), 4 a 9 de Setembro. Inst. Phys. Conf. Ser., 93: 245-246, 1988. M. L. PEREIRA, A. SILVA, R. TRACANA, G. S. CARVALHO and M. A. BARBOSA. “Histological and ultrastructural changes in mice testis induced by metalic elements released from stainless steel”. In Electron Microscopy, (Eds. L. Megías-Megías, M. I. Rodriguez-Garcia, A. Rios & J. M. Arias), Secretariado de Publicaciones de la Universidad de Granada, Granada, Vol. 3, pp. 865-866, 1992. G. S. CARVALHO, M. L. PEREIRA, F. PERES, M. VASCONCELOS, R. BRANCO, J. CAVALHEIRO. “Reacções in vitro e in vivo a diferentes dimensões de grânulos de hidroxiapatite modificada”. Revista Portuguesa de Estomatologia e Cirurgia Maxilofacial, 32: 213-219, 1992. J. P. SOUSA, S. B. MORAIS, M. C. PEREIRA, M. L. PEREIRA, G. S. CARVALHO and M. A. BARBOSA. “The use of microelectrodes as electrochemical sensors of metal ions released from biomaterials”. M. L. PEREIRA, A. SILVA, R. B. TRACANA and G. S. CARVALHO. “Toxic Effects caused by Stainless Steel Corrosion Products on mouse Seminiferous Cells”. J. SOUSA, P. LEMOS, P. LARANJO, G. S. CARVALHO and M. L. PEREIRA. “Systemic Effects of Stainless Steel Corrosion Products in the Mouse Epididymis: an Histological and Ultrastructural Study”. In: Compatibility of Biomedical Implants. (Eds. P. Kovacs & N. S. Istephanous), Pennington, New Jersey, The Electrochemical Society, New Jersey, Vol. 15, pp. 167-172, 1994. M. L. PEREIRA, SOARES, A. M. V. M. e VASCONCELOS, V. “Toxicidade de Microcystis aeruginosa. Alterações morfológicas em tecidos”. Ciência Biologica Ecologia e Systematica,15 (1/2): 1-8, 1995. R. B. TRACANA, M. L. PEREIRA, A. M. ABREU J. P. SOUSA and G. S. CARVALHO. “Stainless Steel Corrosion Products cause Alterations on Mouse Spleen Cellular populations”. Journal of Material Science: Material in Medicine, 6: 56-61, 1995. M. L. PEREIRA, A. M. ABREU, J. P. SOUSA and G. S. CARVALHO. “Chromium accumulation and ultrastructural changes in the mouse liver caused by stainless steel corrosion products”. Journal of Material Science: Material in Medicine, 6: 523-527, 1995. M. L. PEREIRA. “Studies on the permeability of the blood-testis barrier in stainless steel-administered mice”. Cell Biology International, 19: 619-624, 1995. M. L. PEREIRA, M. C. PEREIRA and J. P. SOUSA. “Evaluation of Nickel effects on mouse liver: Tissue response and metal ion accumulation”. Biomedical Letters, 52: 335-244, 1995. M. L. PEREIRA, M. C. PEREIRA, S. MORAIS, and M. H. FERNANDES. “Mouse response to massive amounts of a powder glass-ceramic after intraperitoneal injection”. In: Bioceramics, (Eds. T. Kokubo, T. Nakamura & F. Miyaji), Vol. 9, pp. 143-146, 1996. M. C. PEREIRA, M. L. PEREIRA and J. P. SOUSA. “Adsorptive Stripping Voltammetry Measurements of Chromium Accumulation in Mice Organs Using Mercury Film Microelectrodes”. M. E. FERREIRA, M. L. PEREIRA e A. J. MOREIRA. “Regulação Hormonal”. Revista do Centro de Estudos, Faculdade de Medicina de Campos (Brasil), 2: 29-36, 1997. M. E. FERREIRA, M. L. PEREIRA e A. J. MOREIRA. “Defesa Imunológica”. Revista do Centro de Estudos, Faculdade de Medicina de Campos (Brasil), 2: 21-28, 1997. M. E. FERREIRA, M. L. PEREIRA,G. S. CARVALHO e A. J. MOREIRA. “Biomembranas e o transporte transmembranar”. Revista do Centro de Estudos, Faculdade de Medicina de Campos (Brasil), 2: 37-46, 1997. M. C. PEREIRA, M. L. PEREIRA and J. P. SOUSA. “Measurements of Chromium Accumulation in Mice liver by adsorptive stripping voltammetry using mercury film microelectrodes”. In: Chemical and Biological Sensors and Analytical Electrochemical Methods. A. J. Rico, M. A. Butler, P. Vanysek, G. Horvai and A. F. Silva (eds. ), The Electrochemical Society, New Jersey, Vol. 97-19, pp. 498-503, 1997. M. C. PEREIRA, M. L. PEREIRA,and J. P. SOUSA. “Adsorptive stripping measurements of iron accumulation in mice kidney using microelectrodes and histological features”. Journal of Trace Elements in Medicine and Biology, 12: 50-55, 1998. M. C. PEREIRA, M. L. PEREIRA and J. P. SOUSA. “Evaluation of nickel toxicity on liver, spleen, and kidney of mice after administration of high-dose metal ion”. Journal of Biomedical Material Research, 40: 40-47, 1998. J. P. OLIVEIRA, F. GARCIA E COSTA e M. L. PEREIRA. “Impacto de Diferentes Condições Ambientais na Histologia do Fígado de Robalo (D. labrax) de Cativeiro e de Meio Natural na Ria de Aveiro”. Revista Portuguesa de Ciências Veterinárias, 526: 79-85, 1998. M. C. PEREIRA, M. L. PEREIRA, and J. P. SOUSA. “Individual study of chromium in the stainless steel implants degradation: an experimental study in mice”. M. C. PEREIRA, M. L. PEREIRA, and J. P. SOUSA. “Histological effects of iron accumulation on mice liver and spleen after administration of a metallic solution”. M. C. PEREIRA, and M. L. PEREIRA. “Application of adsorptive stripping voltammetry to the determination of trace levels of titanium in mice organs”. Electroanalysis, 11(16): 1207-1210, 1999. M. L. PEREIRA. “Metabolismo de Órgãos Vitais”. In: Risco dos Agentes Biológicos (Manual de Prevenção), (Ed. Instituto de Desenvolvimento e Inspecção das Condições de Trabalho, IDICT), cap. 3, pp. 39-65, 1999. M. J. AMARAL, M. T. CALDEIRA, M. L. PEREIRA and A. C. DUARTE. “Seasonal variation in the concentration of total mercury in clams of Ria de Aveiro”. Ecotoxicology & Environmental Restoration, 3(2): 87-91, 2000. M. PASTORINHO, M. L. PEREIRA, I. K. PAI, U. AZEITEIRO, J. FONSECA, e F.M. MORGADO. “Aplicabilidade de técnicas histológicas em estudos de ecofisiologia planctónica”. Revista de Biologia (Univ. Lisboa), 18: 168-176, 2000. R. PIRES DAS NEVES, T. M. SANTOS, M. L. PEREIRA and J. PEDROSA DE JESUS. “Chromium(VI) induced alterations in mouse spleen cells. A short term assay”. M.E. SOARES, E. FERNANDES, F. CARVALHO, F. REMIÃO, M. CARVALHO, PIRES DAS NEVES R., M. L. PEREIRA, M.L. BASTOS. “Urinary excretion of 4-hydroxyamphetamine and amphetamine in mice during repeated administration of d-amphetamine”. Toxicology Letters, 123 (Suppl. 1): 78-79, 2001. M. CARVALHO, F. CARVALHO, M. L. PEREIRA, R. PIRES DAS NEVES, and M.L. BASTOS. “The role of ambient temperature in ecstasy (MDMA)-induced toxicity in mice liver”. Toxicology Letters, 123 (Suppl. 1): 105, 2001. M. CARVALHO, F. CARVALHO, F. REMIÃO, M. L. PEREIRA, R. PIRES DAS NEVES and M. L. BASTOS. “Effect of 3,4-methylenedioxymethamphetamine (“ecstasy”) on body temperature and liver antioxidant status in mice: influence of ambient temperature”. Archives of Toxicology, 76: 166-172, 2002. R. PIRES DAS NEVES, T. M. SANTOS, M. L. PEREIRA and J. D. PEDROSA DE JESUS. “Comparative Histological Studies on Liver of Mice Exposed to Cr(VI) and Cr(V) Compounds”. Human and Experimental Toxicology, 21: 365-369, 2002. M. L. PEREIRA,T. M. SANTOS, R. PIRES DAS NEVES, F. GARCIA e COSTA and J. D. PEDROSA DE JESUS. “Cr(V) involvement in the toxicity pathway of testicular damage”. Asian Journal of Andrology,4: 153-155, 2002. A. CHARRUA, T. M. SANTOS e M. L. PEREIRA. “Acção do cromato de potássio no murganho: estudo experimental”. In: Ecotoxicologia e Remoção de poluentes: estudos na Península Ibérica. A. Duarte, T. Santos, A. Panteleitcouk, R. Prego (Eds.). Instituto Piaget, Lisboa, pp. 61-67, 2002. M. E. FERREIRA, M. L. PEREIRA, F. G. COSTA, J. P. SOUSA, and G. S. CARVALHO. “Comparative Study of Metallic Biomaterials Toxicity: a histochemical and immunohistochemical demonstration in Mouse Spleen”. Journal of Trace Elements in Medicine and Biology,17(1): 45-49, 2003. M. L. PEREIRA and F. GARCIA e COSTA. “Spermatogenesis Recovery in the Mouse after Iron Injury”. Human and Experimental Toxicology, 22(5): 275-279, 2003. M. R. PASTORINHO, C. P. ANTUNES, J. C., MARQUES, M. L. PEREIRA, U. M., AZEITEIRO and F. M. MORGADO. “Histology and Histochemistry in plaktonic ecophysiological processes determination in a temperate estuary (Mondego River Estuary, Portugal)”. M. A. Guevara, A. Silva, H. Oliveira, M. L. Pereira, F. Morgado. “Segmentation and Morphometry of Histological Sections using Deformable Models: A new tool for evaluating testicular histopathology”. A. Sanfeliu and J. Ruiz Shulcloper (Eds.). Progress in Pattern Recognition, Speech and Image Analysis: Ciarp 2003.Lecture Notes on Computer Sciences, 2905: 282-290, 2003. Acta Oecologica 24 (SUPPL.1), S235-S243, 2003. Toxicologic Pathology, 32(5): 527-535, 2004. P. Valentão, M. Carvalho, F. Carvalho, E. Fernandes, R. Pires das Neves, M. L. Pereira, P. B. Andrade, R. M. Seabra, M. L. Bastos. Hypericum androsaemum infusion increases tert-butyl hydroperoxide-induced mice hepatotoxicity in vivo. Journal of Ethnopharmacology, 94(2-3): 345-51, 2004. M. L. PEREIRA, T. M. SANTOS, F. GARCIA e COSTA, and J. PEDROSA DE JESUS. “Functional Changes of mice Sertoli cells induced by Cr(V)”. Cell Biology and Toxicology, 20: 285-291, 2004. A. Graça, J. RAMALHO-SANTOS, M. L. PEREIRA. “Effect of lead chloride on spermatogenesis and sperm parameters in mice”. Asian Journal of Andrology, 6:237-241, 2004. M. L. Pereiraand J. Ramalho-Santos. Letter to the editor. Reply to “Statistical testing and distribution of lead chloride toxicity. Asian Journal of Andrology, 7(1): 107-108, 2005. R. PIRES DAS NEVES, M. L. PEREIRA, F. CARVALHO, M. L. BASTOS, F. J. IBORRA. “Are reactive oxygen species (ROS) involved in transcriptional repression induced by sodium arsenate in bladder cancer (ECV 304) cell line?”. 42nd Congress of European Societies of Toxicology, EUROTOX 2005.Toxicology. Letters 158S, S173, 2005. H. OLIVEIRA, L. FILIPE, J. LOUREIRO, C. SANTOS, M. L. PEREIRA. “Evaluation of cadmium chloride effects ou mouse spermatogenesis by flow cytometry”. 42nd Congress of European Societies of Toxicology, EUROTOX 2005. Toxicology Letters 158S, S156, 2005. M. L. PEREIRA,R. PIRES DAS NEVES, H. OLIVEIRA,T. M. SANTOSand J. D. PEDROSA DE JESUS. “Cr(V) exposure to male mice: reproductive organs morphology and sperm parameters”. Environmental Health: a global access science source, 4: 9,2005. M. L. PEREIRA e F. GARCIA e COSTA. “O significado biológico da célula de Sertoli na espermatogénese”. Biologias, Revista da Ordem dos Biólogos, Abril 2005. A. M. Sardo, U. M. M. azeiteiro, M. L. pereira and F. MORGADO F. “Histological evaluation of the exposure to 3,4-dichloroaniline in the estuarine mysid Mesopodopsis slabberi”. Fresenius Environmental Bulletin 14(7): 579-583, 2005. M. MONTEIRO, C. QUINTANEIRO, M. PASTORINHO, M. L. PEREIRA, F. MORGADO, L. GUILHERMINO, A. M. SOARES. “Acute effects of 3,4-dichloroaniline on biomarkers and spleen histology of the common goby Potamochistus Microps”. R.Pereira, M. L. Pereira, R. Ribeiro, F. Gonçalves.“Tissues and hair residues and histopathology in wild rats (Rattus rattus L.) and Algerian mice (Mus spretus Lataste) from an abandoned mine area (Southeast Portugal)”. Environmental Pollution, 139: 561-575, 2006. H. Oliveira, T. M. Santos, J. Ramalho-Santos, M. L. Pereira.Histopathological effects of hexavalent chromium in mice kidney. Bulletin of Environment Contamination and Toxicology, 76: 977–983, 2006. H. M. Fonseca, R. L. Berbara, M. L. PEREIRA.“Lunularia cruciata, a potential in vitro host for Glomus proliferum and G. intraradices”. H. Oliveira,J. Loureiro,L. Filipe,C. Santos,J. Ramalho-Santos,M. Sousa, M. L.Pereira.“Flow cytometry evaluation of lead and cadmium effects on mouse spermatogenesis”. Reproductive Toxicology, 22: 529-535, 2006. M. L. PEREIRA and F. GARCIA e COSTA.“The blood-testis barrier as a target of some chemotherapeutic agents”. F. Carvalho, M. E. Soares, E. Fernandes, F. Remião, M. Carvalho, J. Duarte, R. Pires-das-Neves, M. L. Pereira, M. L. Bastos ”Repeated administration of d-amphetamine results in a time-dependent and dose-independent sustained increase in urinary excretion of p-hydroxyamphetamine in mice”. Journal of Health Science, 53: 371-377, 2007. A. A. Ramos,C. 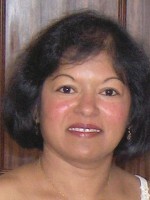 F. Lima,M. 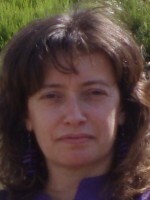 L.Pereira,M. Fernandes-Ferreira, C. Pereira-Wilson. “Antigenotoxic effects of quercetin, rutin and ursolic acid on HepG2 cells: evaluation by the comet assay”. Toxicology Letters, 177: 66-73. 2008. H.Oliveira, M. SpanÃ, C. Santos, M. L. Pereira. “Lead chloride affects sperm motility and acrosome reaction in mice”. Cell Biology and Toxicology, Jul 2, 2008. I. K. PAI, S. TERDALKAR, M. L. PEREIRA, MORGADO F. M. Diel vertical migration of zooplankton in Andaman Sea. In: Arvin Kumar & Harbhajan Kaur (Eds. ), Ecology of Aquatic Insects, Daya Publishing Housse, Delhi, Chap. 3, pp. 24-51, 2008. S. M. Marques, S. C. Antunes,H. Pissarra,M. L. PEREIRA, F. Gonçalves,R. Pereira. “Histopathological changes and erythrocytic nuclear abnormalities in Iberian green frogs (Rana perezi Seoane) from a uranium mine pond”. Aquatic Toxicology. 2008 Apr 29, in press. R. C. Matos, C. Vieira, S. Morais, M. L. Pereira, J. Pedrosa de Jesus. “Nephrotoxicity of CCA-treated wood: a comparative study with As2O5 and CrO3 on mice”. Environmental Toxicology and Pharmacology,in press,2009. S. Amaral, P.C. Mota, B. Lacerda, M. Alves, M. L. Pereira, P. J.Oliveira and J. Ramalho-Santos "Testicular mitochondrial alterations during streptozotocin-induced diabetes”. Mitochondrion,in press, 2009. P. C. Mota, S. G. Amaral, L. Martins, M. L. Pereira, P. J. Oliveira, J. Ramalho-Santos.“Mitochondrial bioenergetics of testicular cells from the domestic cat (Felis catus) - A model for endangered species.